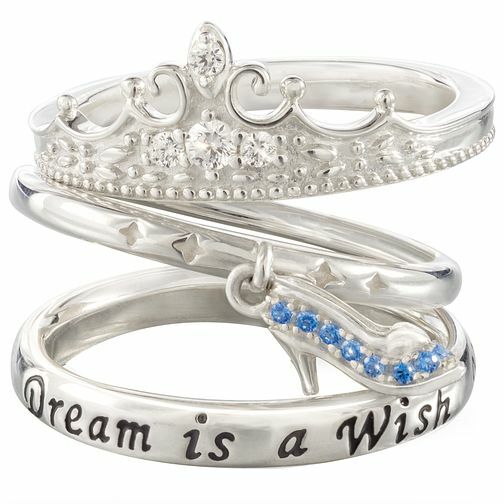 Chamilia Disney Cinderella Stacker Ring Set Large is rated 5.0 out of 5 by 1. Rated 5 out of 5 by Anonymous from Disney Magic Bought this set as I’m a big Disney fan. Love the quality of Chamilia. This set won’t disappoint, the slipper charm is a brilliant touch. Must have for any Disney fan.